Welcome to the first official CM Bordermania Blog Hop! To help us all discover fun, new ways of using the Original Border Maker System, we’ve enlisted the help of some very talented and creative CM Advisors who have joined in the fun to help! Simply click through the links provided within each blog post and you’ll love what you discover along the way. Before we send you on your way, we thought we’d share some fun ideas, too! First up is a simple way to dress up a section of your page with a fancy edge. Create a fun area to frame up your photos by layering coordinating papers, then cut a strip of paper to run along one edge of that area. Punch along one edge of strip. Weave a 5/8″ strip of colored paper through the slots and adhere to page to finish. We also hand-trimmed artwork from a Slide-In Pack to finish the design. Note: Products used in this page were the Be Bold & Flourish Paper Pack and Be Bold & Flourish Slide-In Pack. 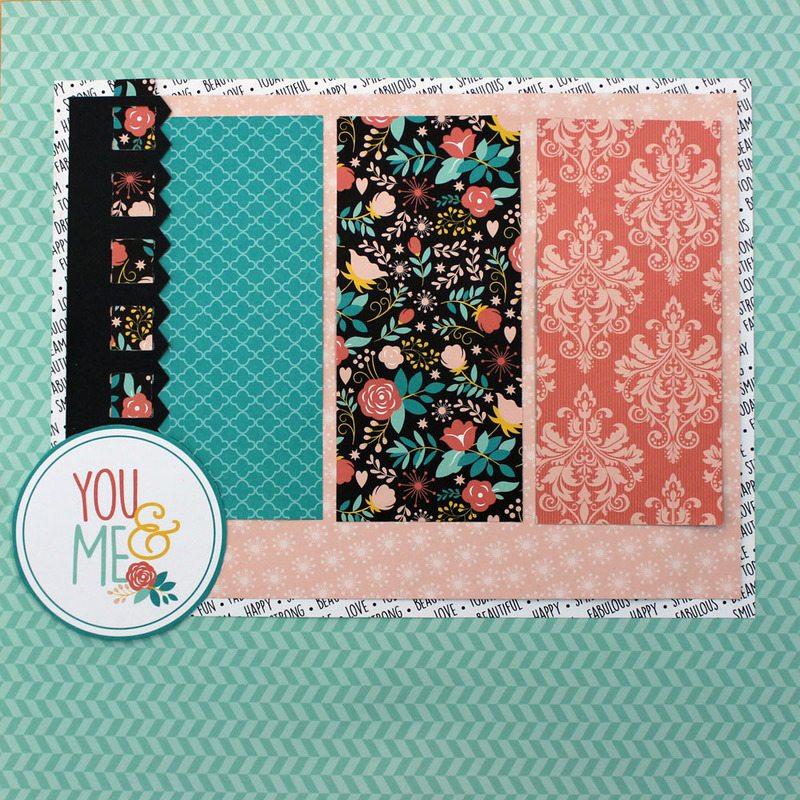 Next up is a super fun, creative way to use the Picket Fence Border Maker Cartridge (included with the Original Border Maker System) that came to us from CM Advisor Pam Giganti’s Customer Becky Keyser. 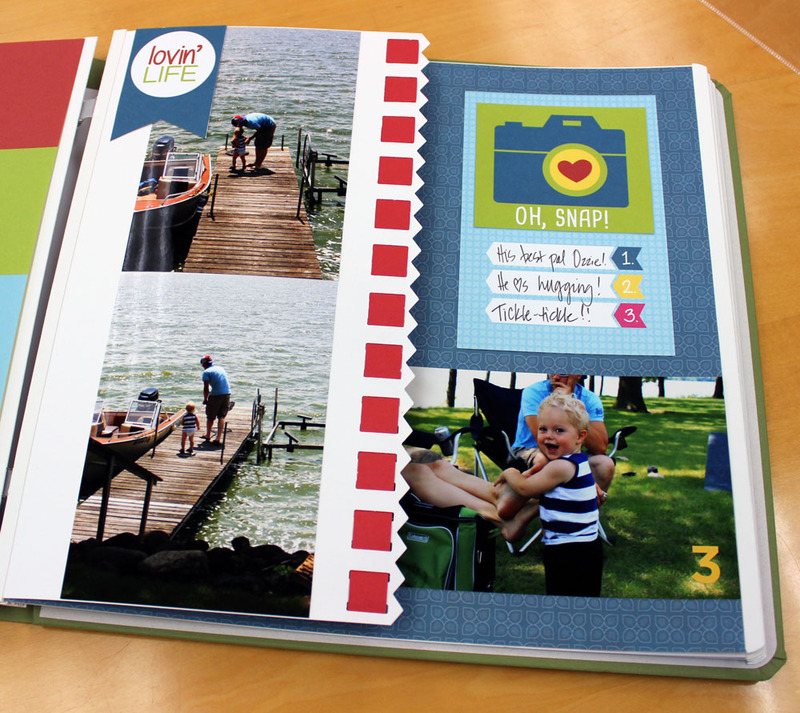 Simply cut a Plain Page in half (vertically), then punch a border along the entire cut edge. Trim a strip of red paper to measure 5/8″ wide, then weave through slots. Decorate both sides of the page, then slice a Page Protector in half and slip it over the page to finish. This idea is perfect to showcase things like brochures, one or two extra photos that don’t warrant an entire, full page, etc. So fun! Note: Products used in this page were the Look on the Bright Side Paper Pack and Look on the Bright Side Slide-In Pack. Next… it’s on to the first stop on the blog hop! Up first is CM Advisor Stefani Jones – she’s showcasing borders created using fun and out-of-the-box techniques on her blog Crop With Stef. They’re super fun and versatile – you’ll love ’em! (NOTE: this contest has ended) Be sure to click all the way through (you could win some goodies on the way) to the last blog, and then stop on back here and comment on which idea was your favorite (we’ll link you back at the end of the hop). Anyone who comments below will be automatically qualified to win a FREE Original Border Maker System and Cartridges! Just leave us a comment and you’re entered. A huge thanks to CM Advisors Stefani Jones, Lisa Graham and Diana Brinsley for sharing their creativity with us! Be sure to bookmark their blogs, too. You’ll find fab ideas and tips there! ← 4 uses for Slide-In Cards that you’ll love! Love seeing what is being created with the border maker. Such neat ideas. I love the “You & Me page Using the different paper. I could use up scraps to do those pages! !